Dust off that old He Hate Me jersey. The XFL is set for a surprising second life under WWE leader Vince McMahon. McMahon announced the return of the much-maligned league that lamed out in 2001 after one wild season. McMahon said the XFL would return in 2020, but offered few other details about the late winter/early spring football league. The XFL will launch with eight teams, 40-man active rosters and a 10-week regular-season schedule. McMahon said the schedule could begin in late January and no cities or TV partners were named. McMahon funded the league through Alpha Entertainment, a new private entity. He will continue as chairman and CEO of WWE. McMahon says he will have an open forum for fans to contribute ideas to the new league. The original XFL was founded by the wrestling company and jointly owned by NBC, and premiered to massive TV ratings. But the audience did not stick around on Saturday nights to watch second-rate football, lascivious cheerleader shots, sophomoric double entendres and other gimmicks that quickly doomed the league. "I've always wanted to bring it back," the 72-year-old McMahon said on Thursday. "I think the most important thing that we learned with the older XFL and now the new XFL is the quality of play. We have two years now to really get it right." McMahon, who will continue as chairman and CEO of WWE, offered few other details about the football comeback. The XFL will launch with eight teams, 40-man active rosters and a 10-week regular-season schedule. McMahon said the schedule, designed to fill the seven-month gap without the NFL, could begin as early as the end of January. No cities or TV partners were named. The league will own the eight teams. 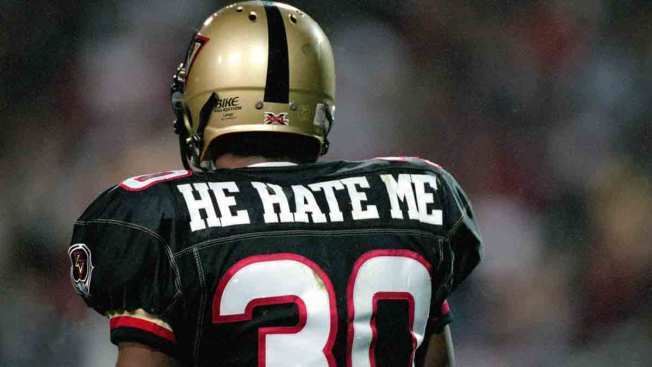 The XFL in 2001 had eight teams, mostly in major markets, such as Chicago, Los Angeles and San Francisco. McMahon said the selection of cities in the new XFL will be announced in the next few months, and a mix of major and mid-major markets will be considered. The XFL and WWE will have no crossover, unlike the first incarnation when wrestling announcers and personalities such as former Minnesota Gov. Jesse Ventura dominated the football telecast. McMahon promised a safer football league, though he again offered no specifics for a league that unveiled a human coin toss the first time around — players scrambled from each team to grab the football to decide possession. One player separated his shoulder fighting for the ball. "We're going to listen to medical experts and heed their advice," McMahon said. Former Cleveland Browns and Texas A&M Quarterback Johnny Manziel sent out a tweet following the announcement expressing his excitement. However, McMahon stated that he would prevent players with a criminal record from playing, deeming him ineligible.